Rolls-Royce has taken a significant step towards realising their ambition to provide hybrid-electric propulsion systems for the next generation of aviation, with successful ground tests of a hybrid system using our M250 gas turbine – a highly successful engine usually powering helicopters. The tests are part of one of the world’s most comprehensive hybrid aerospace turbine engine development and integration programmes and pave the way for experimental flights on aircraft in 2021. The firm successfully tested the hybrid version of the M250 gas turbine in a ground demonstration setting in three operating modes: Series Hybrid, Parallel Hybrid and Turbo-Electric. The M250 hybrid is planned to be used as a propulsion plant with power ranging from 500kW to 1MW and has the potential to transform aviation power. 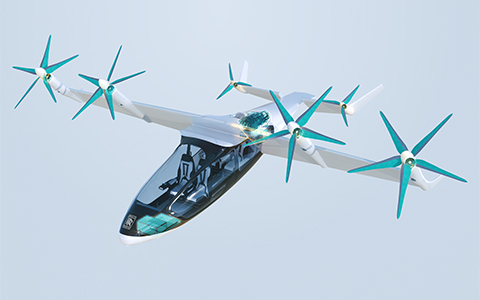 The system will be used across a range of transport platforms to enable distributed electric propulsion, including EVTOLs (hybrid electric vertical take-off and landing vehicles), general aviation aircraft and hybrid helicopters.